Ever since the company’s foundation as a one-man-business until the formation of HGB GmbH and the establishment of the present crew, two things have never changed: the appreciation of each employee’s work and the mutual respect within the team. The responsibility each employee has for the final product is reflected in a high level of identification of the workers with the produced parts. This is observable in the outstanding quality of the final product. At the beginning of the year our design department moved out in its own building. In the middle of the year a HGB design was certified as the world’s first A60 weather tight sliding door. In November we exhibited at the world's largest marine equipment trade show - the METS - in Amsterdam, for the first time. An A 60 fire door yacht-standard is developed and certified by "Germanischer Lloyd". The first service flaps are delivered. Heinrich Goettsch-Buech passes on the baton to Joerg Blumentritt, who is now the sole General Manager. Demand is still on the increase. In order to process all orders satisfactorily, more workspace is necessary. 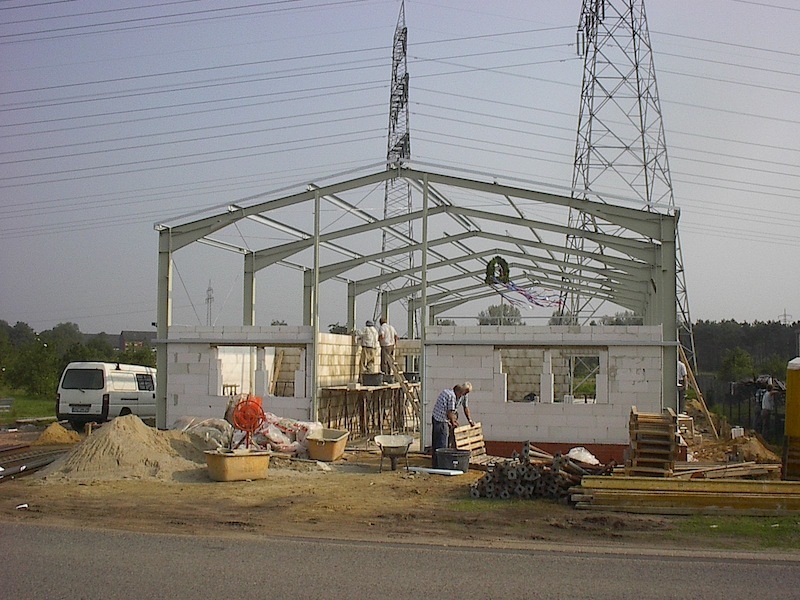 A second workshop is built and further qualified personnel employed. What once was a one-man-business is replaced by the formation of the HGB GmbH, made up by 20 employees and four trainees. As a consequence of a demand steadily increasing, the number of employees rises too. At the end of 2006, we have 13 employees and two trainees. A new era has begun. The one-man business is replaced by the HGB GmbH. Now we have 20 employees and apprentice. 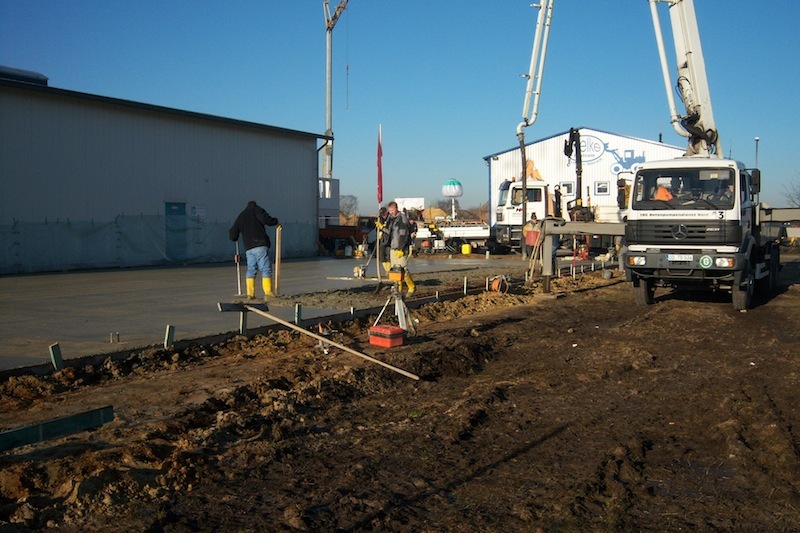 HGB moves to Steller Heide 30, in the industrial area of Schwanewede-Neuenkirchen. Now working on its own, larger premises, HGB also expands the work force: five staff members were hired for production. The first major orders as direct supplier of the Luerssen Group follow. Reacting to particular customers’ demands, HGB specializes in accessories for large yachts; now hinged and sliding doors, wind breakers, hatches, and a variety of special constructions form a product range, which continues to broaden. The design engineer Joerg Blumentritt joins the company. He brings along first orders by yacht shipyards situated at the river Weser. Heinrich Goettsch-Buech ventures the step into self-employment and „HGB Industrieservice und Metalldesign“ was born in the Rader Heide 10, Schwanewede. As a one-man-business, Hein makes a name for himself with his versatility and carries out, among other jobs, industrial assemblies, stair-railings, office equipment, mobile booths, special constructions for sports clubs, and very special bicycle stands.